Those who knew me know that I am very critical of my own country. Sometimes way too critical. Talking about the current situation in my country is one of the many things that would get me work up. When I was younger, I could not differentiate between the country and the government. Thus I was quite anti-MY during my years in SG. Then I realized that I was pissed at the government and the ruling party, not the country. Much like religion, it is often the humans who messed up. As I get older, I recognized that there's no place as unique as MY. Most fellow countrymen (and countrywomen) are friendly, helpful and tolerant. We do live together in harmony. It is the government and the ruling parties that are creating rifts and hostility between races and various groups. They are the ones bankrupting the country. They are the ones instigating racial tension and distrust. They are the ones treating the country's coffer as their ATM and playground. They are the ones inflaming the 'us' versus 'them' discord. Rampant corruption, due to their insatiable greed and inferiority complex-induced megalomania, has been the No. 1 ailment crippling the country. Many times I did wish that things in MY are different. Now, I just wish for one: a change of central government. Of course, this might not be a cure-all for all the problems the country is facing, but at least it is a first step in the right direction of making this country great again. 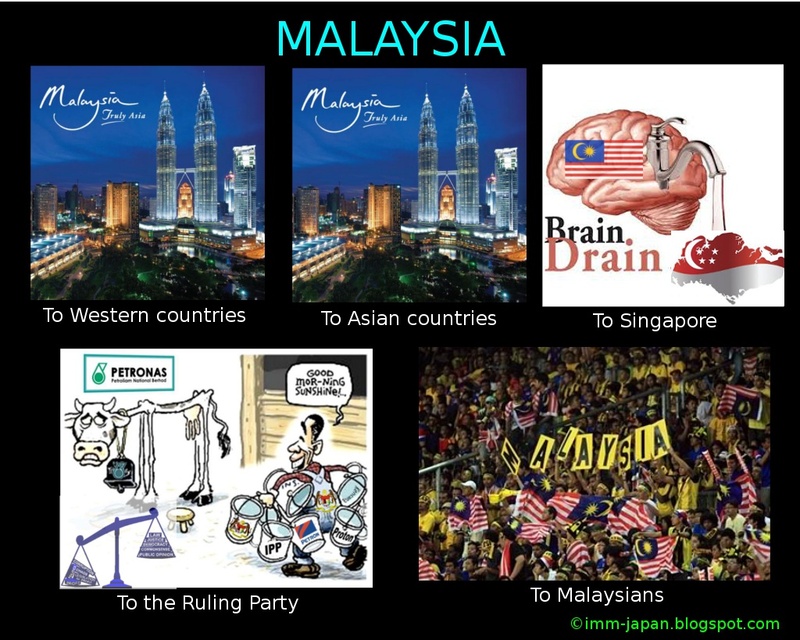 Happy Birthday, Malaysia! Live Long and Prosper! Except for the government and the ruling parties..